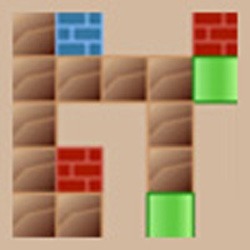 Get the colored bricks into matching positions of the same color to complete each level. 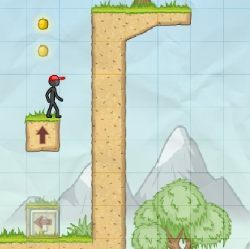 You'll need to use logic to figure out the right order to move the bricks and the right positions to move them to, so that you can get all the bricks to where they need to go. 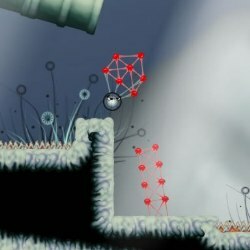 There are 15 puzzling levels to complete. LEFT CLICK on a brick to select it, then move it left and right using the ARROW keys. LEFT CLICK on a green panel to open all green panels. Click here to send Brickmaster to your friends using your default email program.